Winner Winner, Catfish Dinner! Oh, and a few updates as well! This is it! Today is THE VERY LAST DAY for Sale-A-Bration. If you’ve been waiting – wait no more! Let me know ASAP if you’ve decided you want to order something!! The Random Number generator randomly generated number 22! And that comment came from Debbie G! YEAH! Congrats to Debbie. If you’ll e-mail me your snail mail address, I’ll get your Blog Candy packaged up and off to you quick as I can! I’ve gone ahead and switched us over to the new Hostess Code. So – if you go online today, you can use the code listed below! March 31 – April 31 HOSTESS CODE: JMYYMNGF Use this hostess code when you order and receive a free gift from me! But, if your order is over $150, please do not use this code (you’ll miss out on your own Stampin’ Rewards/Hostess $$ if you use it) but you’ll still get the free gift. 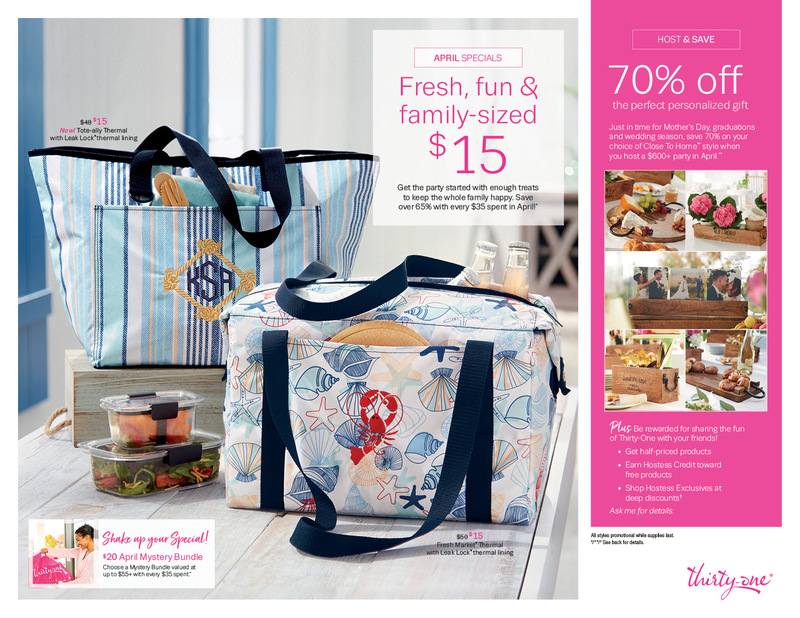 The free gift for April is your choice of any item valued up to $4.95 in either the 2014-15 Annual Catalog or the 2015 Occasions Catalog! NOTE: If you place your order online, don’t forget to add the hostess code (if your order is under $150) to get your free gift! If your order is over $150, please do not use this code, but you’ll still get the free gift. ***Please Note: If your account it set up as “No Contact” or you check “no” in the box that says “Allow my demonstrator to contact with order updates and important information.”, I have no way to contact you. So be sure to check YES – to allow me to contact you, okay? If your account is set up so that I am not allowed to contact you, you will need to either update your account so that I can contact you or send me an email to let me know how you’d like me to get your refund to you. Unfortunately, when you choose this option, Stampin’ Up! will not give me any information about you other than your name so I have no way to find out your email address or mailing address to send the refund automatically. Please let me know if you have any questions. WEEKLY DEALS 31 Mar – 6 Apr 15 Click here to see the Weekly Deals from Stampin’ Up! in my online store. The Weekly Deals are only while supplies last and only available at these great prices through 6 Apr. Stampin’ Up! has added a bunch of new items to the clearance rack. I spied the Holiday Home die set, the snowflake card thinlits die and bunch of new stamp sets (some great Christmas images and sentiments – and it’s just not THAT far away!). Head over to the Clearance Rack now and check out the deals. Might want to hurry – the prices I saw are pretty good – and it’s only while supplies last. When they’re out…they’re out! 3-Month Prepaid Paper Pumpkin Subscription on Sale Now! Purchase a 3-Month Prepaid Paper Pumpkin Subscription during Sale-A-Bration and Save – PLUS You’ll Get a free Sale-A-Bration Item! TODAY’S THE LAST DAY TO GET $5 OFF AND A FREE SAB ITEM WITH SUBSCRIPTION!! Stampin’ Up! has put the 3-month prepaid Paper Pumpkin subscriptions on sale during Sale-A-Bration. You can purchase the 3-month subscription for $54.85 ($5 off the regular price) and if you purchase one of these, you automatically qualify for a free Sale-a-bration item! You can see the prepaid Paper Pumpkin subscription options in my online store here. The photo-quality picture of the forest was lovely as it was, but I feel like it became something other-worldly with the addition of the vellum over the top. It’s a perfect misty morning, with the sun shining down; the kind of morning that sometimes gives me a lump in the throat and always makes me remember to send a little prayer of thanks upstairs. For the sentiment, I inked up the stamp from the Thoughts and Prayers set with Versamark, stamped it on a circle of Mossy Meadow CS and sprinkled it with Crushed Curry Emboss Powder, which I then heat embossed. I SNAIL’d that circle onto a slightly larger Crushed Curry circle – that I’d sponged with Mossy Meadow ink. The banner under the sentiment is just the bottom part of the DSP that I’d cut off to create the correct size for the card front. I used my Hexagon punch to make the banner ends, and then SNAIL’d it to the vellum. The sentiment circle layer is popped on with Stampin’ Dimensionals. I put the entire layered front onto a Mossy Meadow card base with some more Dimensionals….And the front was done! Yes, you read me right – done. And not a pearl to be seen! gasp! The inside got a strip of the DSP – again “harvested” when I cut the paper down to size – not a piece was wasted…too pretty! I first adhered it to another piece of Crushed Curry CS. I SNAIL’d it to some Whisper White CS and then stamped the inside sentiment in Crushed Curry. Then I decided to play with it a little bit more and did some sponging with Mossy Meadow – just to give it a little depth. And the card was done. In about two shakes, really. The Adventure Bound DSP offers so many opportunities for quick cards – that are still just gorgeous. Quick doesn’t mean not-beautiful! And, when a card is quick AND beautiful, it encourages us (well, me, at least!) to make some cards ahead of when I might need to have one. Almost like…thinking ahead. Anti-procrastinating. Crazy! So – that’s it! Hope that you enjoyed my share for you today! Today and Tomorrow. Might ought to be a song title – but, in fact, it’s how much time is left to cash in on Sale-A-Bration AND my Free Shipping Weekend. To give you one last shot at Sale-A-Bration deals, I’m extending my free shipping deal to match SAB – so, it’s good on any order over $50 (before taxes and shipping) placed thru about 5pm West Coast Time tomorrow (31 Mar). See details on how to get the free shipping here. To help you choose some great items, this week’s Weekly Deal are still good thru tonight. There are some really fun things this week – so don’t miss out! And don’t overlook how handy that Adventure Bound DSP is! March 1 – 31 HOSTESS CODE: 33QPV23V Use this hostess code when you order and receive a free gift from me! But, if your order is over $150, please do not use this code (you’ll miss out on your own Stampin’ Rewards/Hostess $$ if you use it) but you’ll still get the free gift. The free gift for March is your choice of any item valued up to $4.95 in either the 2014-15 Annual Catalog or the 2015 Occasions Catalog! WEEKLY DEALS 24 Mar – 30 Mar 15 Click here to see the Weekly Deals from Stampin’ Up! in my online store. The Weekly Deals are only while supplies last and only available at these great prices through 30 Mar. Purchase a 3-Month Prepaid Paper Pumpkin Subscription during Sale-A-Bration and Save – PLUS You’ll Get a free Sale-A-Bration Item! Here’s a Sweet Deal! FREE shipping this weekend! So – since you’ve been reading my blog, I know all y’all know that this Tuesday, 31 Mar is the very last day of Sale-A-Bration. But, I betcha did NOT know that tomorrow is Black Forest Cake Day and Sunday is Lemon Chiffon Cake Day! Well, it is! And, since Black Forest Cake is one of my VERY FAVORITE CAKES ever… I’m going to help you all celebrate it AND get free stuff from SU with a FREE STAMPIN’ UP SHIPPING weekend! 2. Send me your order via email and let me know that you’d like to pay with a credit card. I’ll contact you to make arrangements and I’ll deduct the shipping costs from your order total. 2. Every $50 you spend (before taxes and shipping) gets you a free Sale-A-Bration item. This is $50 from….Weekly Deals, Clearance Rack (check out the new items recently added), Paper Pumpkin 3-month Subscription, Occasions Catalog or Annual Catalog! 3. You pay not a dime in shipping. NOTE: If you place your order online, don’t forget to add the hostess code (if your order is under $150) to get your free gift! If your order is over $150, please do not use this code, but you’ll still get the free gift. And don’t forget that with order of $50 or greater, you’ll get to choose a free Sale-A-Bration item too!! Happy Easter and How To Set Up Shop in a Hotel Room! Hello – and welcome to the Happy Stampers Blog Hop for March. Our theme today is Spring or Easter and….organizing and storing your crafting supplies. I decided to do an Easter project for you and, since I’m not actually at home….I’m going to show you my crafting-area-away-from-crafting-area in the hotel. It’s not gorgeous, but it works! A bunch of us are sharing with you today, so be sure to check out their blogs when you’re done here. And, in the spirit of blog hops everywhere (and chocolate-filled Easter Baskets!) – we’ve all got a little blog candy to give away, too! I cut an oval from a piece of Whisper White card stock with my new Ovals Framelit Dies. This piece I adhered – very lightly with a little dab o’ SNAIL – to another piece of the white card stock. I didn’t want it permanently stuck down yet – just needed it to hold still while I stamped and colored it. Then, I inked up the pretty flower image with Blackberry Bliss Ink, and stamped it on the layered piece – making sure to get the stamp part way on and part way off the oval. That’s total permission to go OUTSIDE the lines! With my image stamped, I colored it in with my new Stampin’ Write Markers. I used Sahara Sand on the branches; Pink Pirouette, Blushing Bride and Calypso Coral on the flowers; Wild Wasabi and Pear Pizzazz on the leaves; and some Daffodil Delight for the stamen in the open flowers. I was really worried that without the Blendabilities, it would be awfully difficult to get the shading and blending that I wanted. But, I just worked kind of quickly and in small areas – and I think it turned out quite pretty! You can see from the picture above that to permanently adhere the oval, I used SU Dimensionals. I love the 3-dimensional look it gave the card! I SNAIL’d the layered art piece to a mat of Wild Wasabi CS (love the Blackberry Bliss combo with the Wild Wasabi!) and then wrapped a strand of the velvet “ribbon” from the Artisan Embellishment Kit (Occasions Catalog) around it twice, securing it in the back with some tape. I debated a little bow, and decided against it – I like the kind of tailored look of the plain ribbon. I decorated the largest flower center with a tiny Pearl Basic Jewel and popped the entire piece onto the Blackberry Bliss card base with some more Dimensionals – and the front was done! The inside got a piece of Whisper White card stock, that I stamped in Blackberry Bliss with the Indescribable Gift sentiment and another image of the flowers. Then I colored in this flower the same way I did the front. And that was it. Done! And then… I made a fateful mistake. I decided it was time to have a little lunch. So, I carefully placed my lovely card into my “photo booth” – you’ll see a picture of it down below – and got myself a little bowl of ramen noodles. I returned to my spot on the sofa – the photo booth was on the table next to said sofa. As I was going to sit down, the fork in the ramen bowl…flipped. I promise, it did a double half-gainer, twist with a curl, and then a backwards somersault – the Russian judge gave it a 10! And where do you suppose it ended up? Yup. It flew OVER the side of the “photo booth” and landed inside. Smack. Dab. On. My. Beautiful. Card. Ramen noodles. On my card. And I can tell you what, folks – there ain’t no getting that off. No way no how. So – the pretty card you see in this post is actually the SECOND iteration. I said “Golly!” a few times. If you catch my drift! Anyway – note to self. “Photo Booth” and card must be VERY far from Mary and food. I have a similar issue with t-shirts, but…that’s a ‘nother story! I think the card turned out very nice the second time, too! It’s just a few pieces of white card stock, taped together, with my Ott Lite over the top of it. Actually, I use the same setup at home – but I have two Ott Lites there. I didn’t want to try to ship both of them. (I got this “photo booth” idea from Amy Koenders’ blog – thanks, Amy!) Just beware – it is NOT up to the challenge of ramen noodles. Just sayin’. Here’s what I store my stuff in – I have one for ink pads, embossing folders/dies and for embellishments. It’s an ever-renewing resource at my house/hotel…..
We’re down to the wire for Sale-A-Bration folks – don’t miss out! SAB ends next Tuesday, 31 Mar! You can see a final update from my latest blog post from last Tuesday here. If you’ve stuck with me this far, let me tell you about the…. BLOG CANDY BLOG CANDY BLOG CANDY!!! That’s a package of Tangelo Twist Baker’s Twine, Itty Bitty Accents Epoxy Stickers, and the very fun Painted Blooms Thick Twine. And it can be yours! Leave a comment below and tell me your favorite storage or craft organization solution. It can be one you HAVE or one you COVET! Leave your comment before 7 AM ET on Tuesday, 31 Mar 15 and you’ll be entered to win. I’ll have the random number generator pick a comment on Tuesday morning and then I’ll announce the winner on my blog that day! Please note, anyone is welcome to leave me a comment but I am only able to ship the blog candy items to addresses within the United States. Thanks for your understanding. With that, scroll down right quick-like and leave your Blog-Candy-entering-comment and then come back up here and check out the other stops on the Blog Hop. It’s a talented group, so be sure to check all of them out! I hope that you’ve enjoyed my share today – have fun “hopping”! To hop back to Amy Koenders’ Blog, click the Back arrow button. To move forward to Sandi MacIver’s Blog, click the Forward arrow button. Mary Deatherage – www.stampsnlingers.com <<<<You are here! You’ve been reading that the Blendies have been on ordering hold, due to quality issues in manufacturing. Due to the nature of the defect, Stampin’ Up! has concluded that difficulties, dissatisfaction, and product returns will only become more widespread. The manufacturer is unable to correct the problem in a manner the company is certain would meet our high quality standards and provide us with a stable, long-term solution. Therefore, after a great deal of deliberation and in order to prevent further disappointment, the Blendabilities product line has been discontinued. If you have Blendabilities that you feel are defective, please let me know and I’ll guide you through what to do next. Hopefully SU will find a new source for alcohol markers – you’ll know just as soon as I do! You can also still take advantage of the sale on Paper Pumpkin 3-month subscriptions. There’s still time to purchase the 3-month subscription for $54.85 ($5 off the regular price) and if you purchase one of these, you automatically qualify for a free Sale-a-bration item! You can see the prepaid Paper Pumpkin subscription options in my online store here. This week’s Weekly Deals (whenever I write that, I feel like the boss in the Department of Redundancy Department! 🙂 ) are really fun – I feel an order coming on! Don’t miss out on some great deals. There I go again – sorry! Don’t forget to stop back by here on Thursday. Happy Stampers is having another Blog Hop (planning tip – we’re having one the last Thursday of every month) and the theme is Spring/Easter and some ideas on crafty storage. And, of course, no Easter discussion would be complete without CANDY. Of the Blog-variety in this case! So, be sure to come back now, y’hear? Stampin’ Up! has determined that we will no longer offer My Digital Studio (MDS) or its associated professional print services after 31 May 15. If you’ve purchased My Digital Studio from SU!, you will still be able to use the program after that date. However, Stampin’ Up! will no longer provide support for the My Digital Studio or print services. The Download Manager will also be unavailable after 31 May, so Stampin’ Up! suggests that you download and back up any digital downloads you have purchased, including MDS content and Online Classes. On Thursday evening, I got my latest SU order in the mail. And it had all sorts of fun things in it – yes, I went the tiniest bit crazy!! – and so, after I opened everything and put it “away”, I started pulling out the things I was most anxious to play with. This great background stamp, that I got when it was on a Weekly Deal, was one of those things. It’s the Wildflower Meadow stamp, and I just love it. I inked it up with Versamark, stamped it onto a piece of Soft Sky Card Stock, sprinkled it with Stampin’ Up white Emboss Powder, and heat embossed it. Beautiful, isn’t it? I adhered it with some SNAIL to a Wild Wasabi mat – love that color combination! – and got busy on the sentiment. Using my go-to sentiment set, Sassy Salutations, I heat embossed in white on a 2 1/2″ circle of Soft Sky – cut with my brand spanking new punch! Then, I used the Wild Wasabi Stampin’ Write Marker to ink up just the sneakers from the Baby, We’ve Grown set. I didn’t want the “cute boy” part on the card – don’t judge – I just didn’t want it! Then I stamped it right over the top of the embossed sentiment, which acted as a resist. I tidied up a few spots on the sentiment with a little piece of paper towel – which was easy peasy, it wipes right off! Then I stuck on a heart from the Itty Bitty Accents Epoxy Sticker set. To mat the sentiment, I used Wild Wasabi, cut with the circles framelits – which I SNAIL’d directly to the card front BEFORE attaching the sentiment circle. Then I wrapped a couple strands of the Painted Blooms Cotton Twine around the card – securing it in back with tape. Finally, I popped the sentiment circle over the twine with Dimensionals, and then adhered the entire layered piece to a Soft Sky card base – again with Dimensionals. Never one to miss an opportunity to add my favorite embellishment, I added some tiny Pearl Basics to the centers of the flowers and some on the little embossed dots – and the front was done! For the inside, I started with a piece of Whisper White Card Stock, and stamped the first part of the sentiment – again from Baby, We’ve Grown – in Wild Wasabi. I added the tiny sentiment from the Petite Pairs set in Soft Sky. At this point, let me make a little plug – when the Blendabilities became a discontinued item, I wisely used that as the very excuse I’d needed to buy the Many Marvelous Markers set. And – It. Is. Marvelous! It was like being a kid again and opening that giant box of crayons – you know, the BIG BOX!! It has every color SU makes – except Whisper White and Black – and the box had spaces for the two In-Color sets, which I already had. It’s one of my favorite things – I say that a LOT, don’t I!? Sorry – again, don’t judge. I just happen to like a lot of SU things….can’t help it (it’s why I joined the company!! ;0) Any-who….back to the card! After I stamped the sentiments, I decided that I really wanted that little bunny guy in there. So, I used a couple of sticky notes to cover the sentiments, and added just the top of Mr. Bunny. I stamped him in Wild Wasabi and then colored his little bow with Soft Sky and gave him a tiny pearl, just to up his dashingly cute factor. I SNAIL’d it in place and…..inside – done. I added another Wild-Wasabi-with-Pear-Pizzazz-accents Mr. Bunny to a Whisper White Medium Envelope. Since I knew that this card is going in a box with a completely adorable set of little clothes (and an actual bunny that was sitting enticingly next to the register just begging me to take him home) and not going thru the mail by itself, I even gave Envelope Bunny a pearl of his own. I think the final results turned out pretty darned cute (she says modestly…). I’m sure Noah will be just thrilled! Actually, I DO know that infants can’t have stuffed animals – at least not unsupervised – but I hope that mom enjoys him (he’s VERY huggable!) and that Noah will too. One day! Today’s the last day for this week’s Weekly Deal specials, so if you’ve had your eye on some of the embossing folders (or how about the coordinating Mosaic Madness stamp set?) – now’s your chance! WEEKLY DEALS 17 Mar – 23 Mar 15 Click here to see the Weekly Deals from Stampin’ Up! in my online store. The Weekly Deals are only while supplies last and only available at these great prices through 23 Mar. When I built this card to share with you today, I meant it as a “hip pocket” card. You know – one that you have ready – in your hip pocket so to speak – in case a need arises. Well, a need arose much more quickly than I anticipated. My good friends back in Atlanta had to put their lab to sleep a couple of weeks back. She’d been with them her whole life and it was a big loss for them. I just found out at the beginning of the week – my friend wanted to spare me the upset on top of the stress of the job out here in California. I sent this card right away – and hope that it brought them some comfort. This card started with some plain vellum card stock, which I background stamped with the Something Lacy stamp (a favorite of mine!). One piece was done with white ink and the other in Sahara Sand. I let the pieces dry for several days – it takes a while. But, once it was “done”, the ink adheres nicely! I inked up the tree from the Thoughts and Prayers set withNight of Navy and stamped it onto the Sahara Sand piece. Then did the same with the sentiment. And let both of THOSE dry for a while. I did a little coloring with my Crisp Cantaloupe and Strawberry Slush Stampin’ Write Markers on the white background. You can color right on the front of the vellum (versus coloring the back of the preprinted vellum in the new SAB Sheer Perfection Designer Stack). I didn’t add any color to the other, Sahara Sand, piece. I edged both pieces with Night of Navy ink – just to finish them off a little. I cut two mats from Sahara Sand Card Stock, sponged both those edges with more Night of Navy, and then used Glue Dots to adhere the vellum to the mats. I tried to get the glue dots under inked portions of the paper – and kept them as flat as possible so they wouldn’t show thru. For the inside, I used some more of the Sahara Sand card stock, sponged with Night of Navy. I stamped the Thoughts and Prayers sentiment and the flowery flourish in Night of Navy as well. At that point, I was thinking I’d wait until I got my last SU order in – with another pack of the Pearl Basic Jewels in it – because I wanted to accent the inside flowers with the teensy little pearls. I’d done a silly thing, people. I’d let myself run out of the tiniest pearls in the package. And those were the only ones that would do for this card. Don’t be like me – order early. Order 2 or 3 packages at a time!! 🙂 Anyway – my need to send the card came up much faster than my order was going to arrive – so it went out as is. Which I still like a lot. And, hey – when I started to put the pearls on I might have changed my mind anyway! So – I love this stamp set. The sentiments are nice and the images are pretty and serene. You can go spiritual or not-so-much. Definitely consider adding it to your tool box – if you haven’t already! These are items found in the Annual Catalog – so it’s a good opportunity to get some of those tools you’ve been meaning to add to your kit bag – for free! This is, of course, in addition to the other great items still available in Sale-A-Bration! March 1 – 31 HOSTESS CODE: 33QPV23V Use this hostess code when you order and receive a free gift from me! But, if your order is over $150, please do not use this code (you’ll miss out on your own Stampin’ Rewards/Hostess $$ if you use it) but you’ll still get the free gift. The free gift for February is your choice of any item valued up to $4.95 in either the 2014-15 Annual Catalog or the 2015 Occasions Catalog! I also made another update to the backorder list – it got SMALLER! Yeah! Happy St. Patrick’s Day everyone! Hope you’ve got yer green all picked out for the day – even if only to keep from getting a pinch! Maybe you’ve got some corned beef and cabbage all ready for dinner. However you celebrate the day – or don’t! – I hope it finds you well. It’s Tuesday again – which means it’s time for a new set of Weekly Deals. Always fun to see what’s in the line-up. Scroll down to check out this week’s specials. I see several Textured Impressions Embossing Folders, some ribbon and the cool mosaic stamp set! Only 14 days left in Sale-A-Bration! There’s still time to do a catalog/internet show and take advantage of the potential for and extra $25 in Hostess Dollars. And, have the chance to get the exclusive freebie items – that quite likely won’t be available after Sale-A-Bration ends. Let me know if you’re interested! While I don’t think you’d ever put any kind of curry – crushed or otherwise! – into a cherry anything – let alone cobbler! – I definitely think the combo works for this stamp. I stamped the blossom on a piece of Whisper White card stock, three times. As you know, this is a 3-step stamp. And, it only comes in photopolymer – so you do need to remember to put some sort of squishy mat (a piercing mat or an old mouse pad) under your paper when you use it. The Photopolymers don’t have any cushion of their own, so you have to provide it. But, the ability to precisely position your stamp is one of the PP’s greatest qualities. I love them! Anyway – steps 1 and 2 of the blossom are Cherry Cobbler. Step 3 is the Crushed Curry. For the stems, I started with Old Olive and did the second stamp in Mossy Meadow. I did make a little “mask” – I stamped a blossom on a piece of scratch paper and fussy cut it out. Then I laid it over the bottom right blossom while I did the stems. That’s how I got that one stem to look like it was “in the back” – and made it look more realistically like a bouquet! I ran the long edges of the white card stock thru the Big Shot – using my Magnetic Platform – to cut them out with my Finishing Touches Edgelits. I love how that lacy edge looks on the Cherry Cobbler card base. I dipped into my go-to sentiment set – Sassy Salutations – and stamped Happy Birthday in Versamark Ink. Then heat embossed it in Cherry Cobbler. A bow and button from the brand new SAB freebie – the In Color Accessory Pack – plus a few Rhinestone Basic Jewels finished off the front. The bow and button are adhered with a glue dot. The entire front is popped onto a Cherry Cobbler card base with Stampin’ Dimensionals. And that’s that! One each Happy Birthday card for someone special – I hope that you like it, and will put the Lotus Blossom on your “must-have” list. It’s just too pretty not to have. As of today, 16 Mar 15 – there are only 15 days left to get in on Sale-A-Bration! Your opportunity to add the Lotus Blossom to your stash is almost over! The chance to get that additional $25 in Hostess Dollars is almost over!! Don’t miss out. WEEKLY DEALS 10 Mar – 16 Mar 15 Click here to see the Weekly Deals from Stampin’ Up! in my online store. The Weekly Deals are only while supplies last and only available at these great prices through 16 Mar.